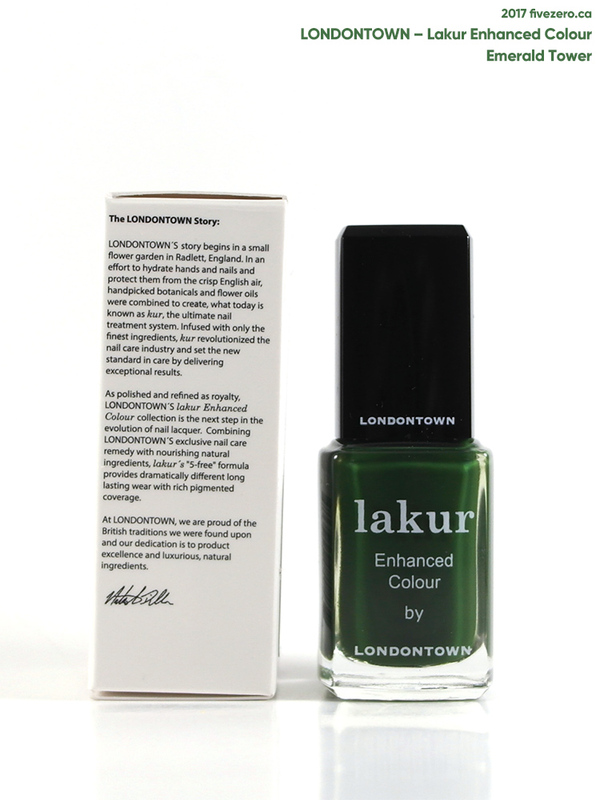 Londontown is, like butter LONDON, an American nail polish brand inspired by all things British, complete with British spelling and slang. I recently came across a few Londontown shades, and picked up a couple for review. I’d heard of them before, as I they were offered by Ipsy a while back, though I sadly did not receive one. 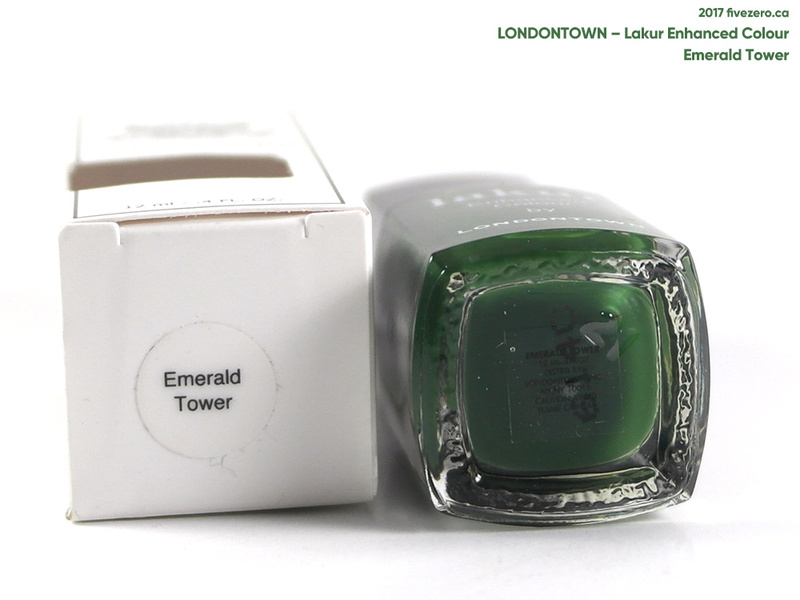 Emerald Tower is described as a “creamy hunter green.” It’s a rich, ultra-dramatic shade of vampy green in a cream finish. 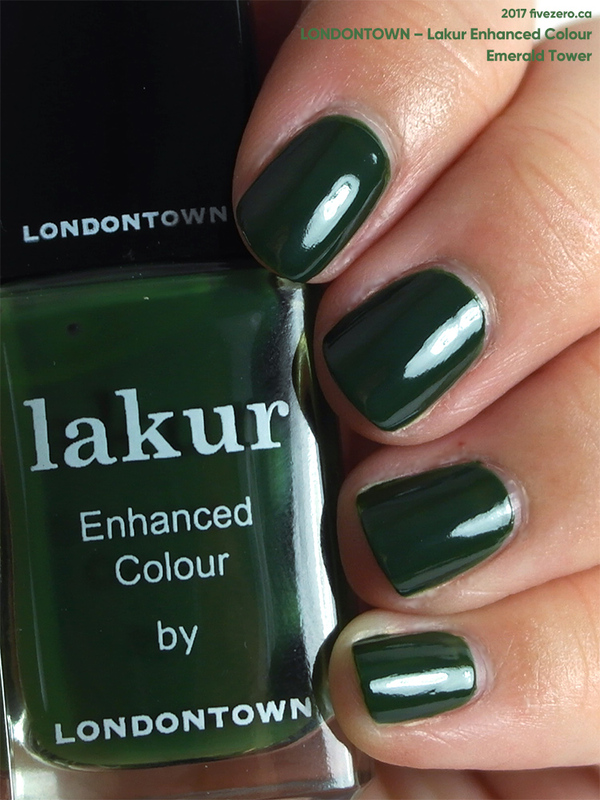 This polish does indeed feel like a mid-end brand (each bottle retails for US$16). The brush applies the polish very nicely, and the gel-like formula is well-pigmented and coats very evenly. The polish dries to a nice shine. Two coats gave perfect, opaque coverage. I’ve no complaints as this is a really nice polish. I hope to come across more of their shades up here in Canada! Happy Canadian Thanksgiving weekend, by the way! 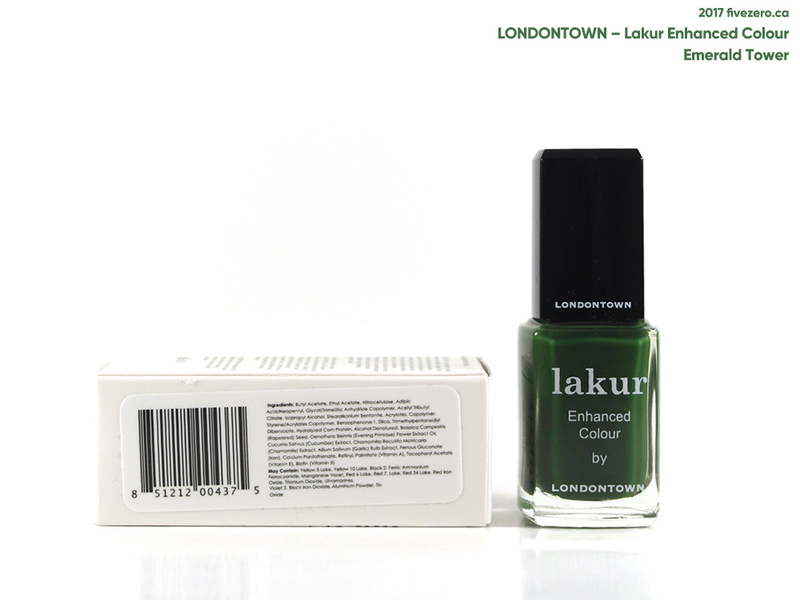 Londontown Lakur Enhanced Colour contains 12 mL and retails for US$16. The 9-free formula contains no toluene, formaldehyde, formaldehyde resin, camphor, or dibutyl phthalate (DBP). 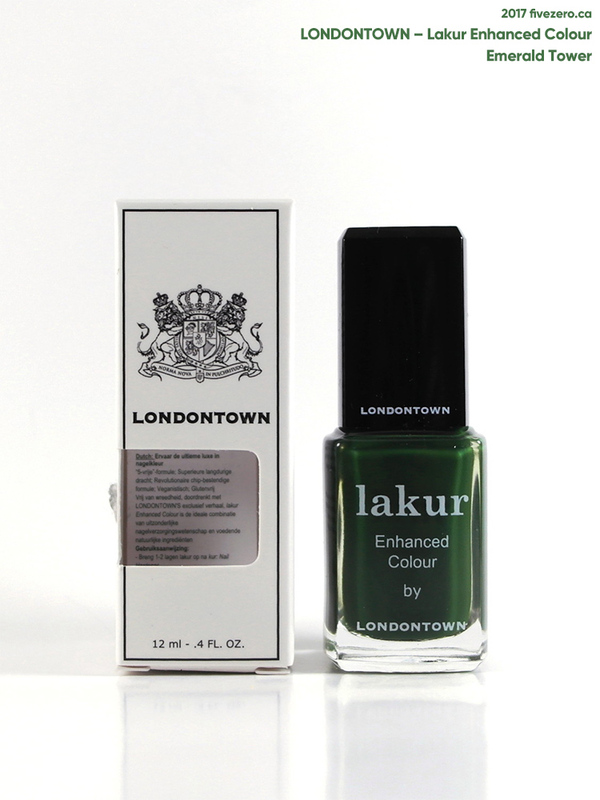 Londontown is a cruelty-free and vegan brand of nail polish. The company is headquartered in New York, NY, USA. What a great green! Happy Thanksgiving! Love this shade…and creamy too? I think you’ve sold me. Thanks for the review!